- Assumes the responsibilities and duties to provide the management and direction necessary in the areas of building maintenance, operations and grounds to maintain the school’s properties and facilities. - Demonstrate an ability to plan, manage, and direct all phases of the facilities operations including a knowledge of facilities software. - Monitors the use, maintenance, and replacement of capital equipment and makes appropriate recommendations. - A well-qualified and experienced MEP engineer who will oversee a team of skilled and semi-skilled workers. - Demonstrate knowledge or experience of architecture, school constructions, engineering, plant operations, maintenance and management, and school safety. - Demonstrate skills in personnel management. - Demonstrate that he/she is technology proficient. - Knowledge of Building systems, Plumbing systems and electro/mechanical systems. 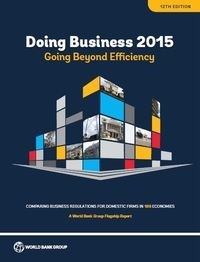 Egypt ranks 112 out of 189 countries on ease of doing business.